On Sunday 5th May, Calderdale welcomes Tour de Yorkshire to Halifax. The fourth stage of the race will set off for a second time from the beautiful, iconic Piece Hall in the centre of Halifax. 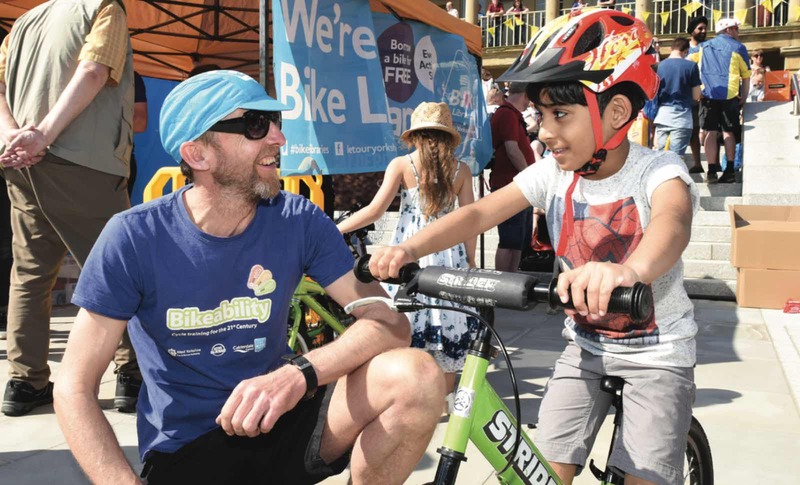 The Bikeability team will have a cycle track in the Westgate Arcade for under 5yrs to ride for free. We will provide balance bikes and beginner pedal bikes & helmets to use. No booking required just turn up and ride! If you are bringing your own bike, staff will be checking all bikes prior to riding.